On the heels of Harvey, Irma, Jose, and Katia, Hurricane Maria churned through the Caribbean Sea in mid-September 2017. 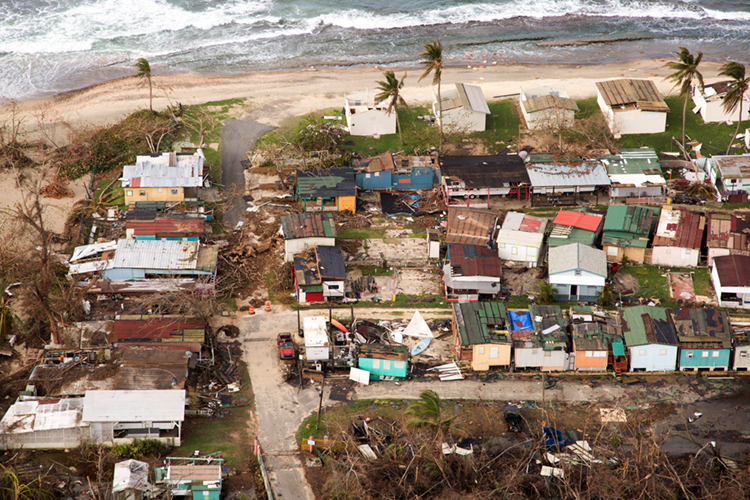 The storm hit the islands of the Lesser Antilles hard, but Maria saved its worst for Puerto Rico, a commonwealth of the United States. Maria left Puerto Rico as quickly as it came, and as the skies cleared, the devastation was evident. Houses and trees were reduced to splinters; cars were scattered and half-buried in water and mud; farm crops lay shredded; and everywhere were broken windows, chunks of rooftops, and street signs twisted into knots. Tens of thousands of people were stranded, and recovery efforts began immediately. 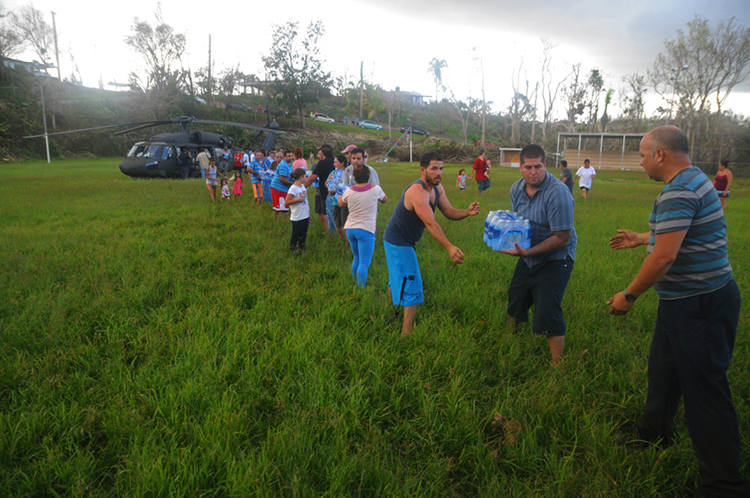 The Puerto Rico National Guard rescued more than 2,000 people in the first 24 hours, and thousands of others found help in the days to come. But for many people, it was already too late. Drowned bodies began appearing, and as of October 18, the death toll on Puerto Rico stands at 48. Many people remain missing, however, and the number could still rise. Weeks after the storm, many areas still lack electric power and phone service, and there is still not enough food, water, medicine, and fuel to help people who have lost everything. Lagging relief efforts from the mainland United States were heavily criticized, and there was a noted lack of urgency in the reaction of President Donald Trump, who downplayed the seriousness of the disaster. U.S. government aid for its Puerto Rican citizens did eventually kick into high gear, but only after several days of wrangling and indecisiveness on the part of administration officials. Individual charities and international organizations have brought in millions of dollars worth of aid to Puerto Rico, as have such Puerto Rican celebrities as Marc Anthony, Jennifer Lopez, Ricky Martin, Lin-Manuel Miranda, and Daddy Yankee. Former baseball star Alex Rodriguez, rapper Pitbull, and Spanish singer Enrique Iglesias have also helped significantly.